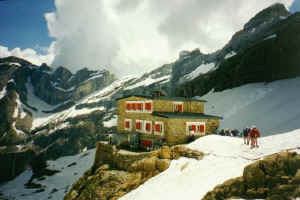 Access is via the valley up the spectacular cirque. Another less strenuous track leaves from near Port du Boucharo. The dent in the mountain is over 200m deep. 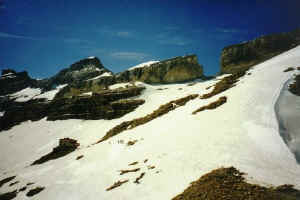 The other side is Parque Nacional de Ordesa in Spain, with access to Monte Perdido and further.